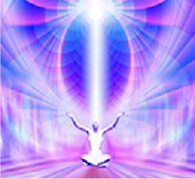 Eternal Life Vibratory Boost is a highly individualized and personalized system that puts you on a boost for spiritual evolution with the ultimate goals of attaining liberation from the karmic wheel and the cycles of reincarnation, ascension and true immortality in the form of Eternal Life. It also focuses on preparation for the afterlife and ascending to and securing “your own perfect place” in the realm beyond the physical one, a “second home” and something you can truly look forward to. This is system is an extremely powerful, unique, and personalized blend of Ascension and Eternal Life promoting frequencies, frequencies from other dimensions that are more perfect than ours, and other highly individualized frequencies that allow this system to perform various tasks on you with maximum efficacy and to grant you the many blessings embedded in this system quickly and effortlessly, so you can achieve all that is spiritually possible while still in the physical body. With each activation of these energies, Eternal Life Vibratory Boost increases your chances to ascend into Eternal Life without having to reincarnate. Ascension to Eternal Life may occur at ANY time if Source determines there is a completion of the karmic wheel and no further incarnations are necessary. While this is a fast track approach to spiritual evolution, you can work comfortably at your own pace. Each session is unique and highly personalized and reinforces/builds on the work done in the previous session. The energies are also intelligent. This system knows you, knows what works for you and what doesn’t, and will always find the best energetic approach for each task that needs to be done. The work that is done for you is perfect for you at that particular time as it receives its guidance from you. It prepares you so disconcerting side effects of energetic and conscious upgrades, ascension, or spiritual awakening can be avoided or kept to a bare minimum. This activation offers you an all-round experience of Eternal Life Vibratory Boost and its many features and functions, saving you the time and trouble of having to go through and blindly activate many different systems/functions to establish what works best for your spiritual goals and needs. The system will decide what blessings are best for you. This is useful when you want to activate the energies and simply go about your day, letting Eternal Life Vibratory Boost work on you in the background. The algorithm diagnoses anything that is going wrong or is less than optimal in your spiritual/Reiki work and works with different systems and tracks anything that can be tweaked, fine-tuned, optimized or otherwise improved. This algorithm rescues you from your negative karma, helps you retrieve the key takeaway and any underlying wisdom, gently assists you to learn your karmic lessons and the lessons of this incarnation, and records any lessons you have learned. Negative karma of ANY kind is cleared from all the incarnated constituents of the soul simultaneously, freeing you from unnecessary ‘baggage’. This automatically “defragments” your soul, ensuring all of the soul constituents are always aligned/blended in an ideal configuration, coordinates and organzes all of your personality facets that have incarnated from your soul, releases any soul constituents that are deemed significantly destructive by Source, promotes more incorporation of your soul energy into your body and aura and facilitates soul retrieval after necessary healing has taken place. This algorithm detects parts of you which are unsupportive, disruptive or destructive in nature, that are consciously or unconsciously distorting your perception of reality, hindering or obstructing your path and impairing your life experience. Whether developed naturally or inherited through generations at the DNA level, unnecessary blockages, unsubstantiated fears, doubts, worry, guild, shame, poverty consciousness, lack of self-worth, negative emotions/thoughts and limiting believes are identified and dealt with. This function uses a very complex algorithm that scans and analyzes your entire potential and what you are capable of, your energetic makeup, innate characteristics, traits, attributes and soul components and intelligently calculates what would be the best possible “perfect” Afterlife option for you, and does everything possible to make sure this option becomes reality. This algorithm scans all of your past incarnations and lives you are living (or have lived) in parallel universes/dimensions, searches for any compatible traits, skills, and/or abilities and automatically “adopts” and powerfully integrates those that would be perfect for you in this dimension.